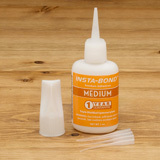 We offer Hot Stuff and Insta-Bond™ adhesives that have long been the cyanoacrylate glue of choice by woodturners everywhere. 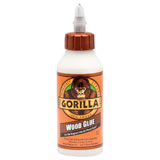 Almost every wood turning project requires a dependable adhesive that you can count on for a strong, permanent bond. 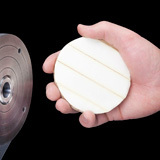 Whether you’re fixing cracks in bowls, gluing decorative inlays or brass tubes in place, we have the adhesive you can depend on for the job at hand. We also offer self-tapping screws for faceplate work, double face tape and Gorilla glue for all types of fastening.